If you pre-pay for 7 classes, your 8th class in on us. 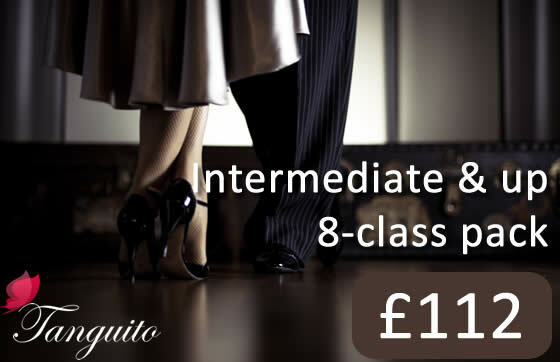 With this package, you can join 8 classes for intermediates & advanced. 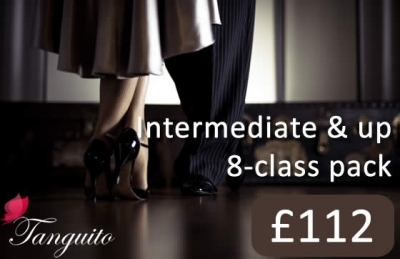 After the class, you'll have full access to our milonga and can enjoy up to 3 hours of social dancing, so that you can practice the moves you've just learned. The package is valid 12 months from the date of purchase.